East Fremantle, Claremont, Peel Thunder, Subiaco and Swan Districts will each field a WAFLW team in 2019, with South Fremantle receiving a provisional license for 2020. “Thanks to the financial support of Optus and the West Coast Eagles as our major WAFLW partners, we are excited to commence the first year of the WAFLW in 2019, which will showcase and develop WA’s best female footballers. Optus Head of Marketing Melissa Hopkins said Optus was looking forward to broadening its partnership with the WAFL in 2019 after seeing the competition go from strength to strength. The West Coast Eagles are working towards the entry of its team into the AFLW in 2020 and has been prominent in developing the talent base in Western Australia. General Manager Community and Game Development, Richard O’Connell, said sponsoring the WAFL Women’s competition was a natural fit as the club extended its support of women’s football. 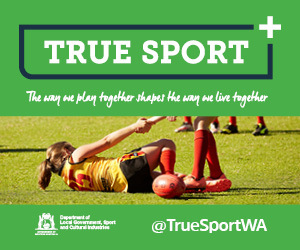 “We have been working closely with the State representative teams and with our own academy squad over the last few years, so our club has had a strong commitment towards developing talent in WA,” Mr O’Connell said. “We would expect that a number of players from the WAFLW competition will be a part of our inaugural squad so it is logical for us to throw our support behind this competition. The West Coast Eagles brand will adorn the guernseys of each of the competing clubs as well as umpires’ and runners’ uniforms. WA Women’s Football League President Carolyn Hills said that after forming more than 30 years ago, the WAWFL was excited to witness the evolution of the competition into an exciting new era as WAFLW. “It is rewarding for everyone involved to see women’s football continuing to receive more interest and support every year. A State League competition aligned with the WAFL clubs will only help us continue this journey and hopefully see more WA players progress into the AFLW,” she said. Fremantle Football Club AFLW Manager, Darryn Fry, said the arrival of the WAFLW was an exciting step forward for WA football. “The Fremantle Dockers have played a major role in guiding the development of women’s football in WA for more than a decade, and we were delighted to be chosen as the inaugural WA team in the AFL Women’s competition when it started two years ago," he said. “This is definitely positive news for female footy in WA that will help provide a quality State League competition for Fremantle players to return to after the AFLW season." The 2019 Optus WAFLW Premiership Season will be played from May to September at WAFL venues. Fixtures will include double-headers with WAFL League games, as well as stand-alone matches. Round 1 will commence on the weekend of May 4/5 with the Grand Final to be played as a double-header with the WAFL League Preliminary Final on the weekend of September 14/15. Full fixtures will be finalised in the coming weeks, along with plans to live-stream a game each week on the WAFL website. The overarching competition structure will see the WAFLW replace the League division of the existing WA Women’s Football League, which will continue as a supporting Reserves and under 18 Rogers Cup competition featuring teams from all nine WAFL clubs. 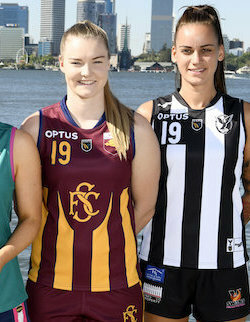 Teams previously playing in the WAWFL League division that did not receive an inaugural WAFL Women’s license will compete in the WAWFL Reserves in 2019. The WAFC will consider options at the end of the inaugural WAFLW season to expand the number of teams or introduce a promotion and relegation system with the WAWFL Reserves. The WAFC will administer the WAFLW State League competition, including the provision of umpires and overseeing minimum standards to ensure it is a high-quality, equalised competition that supports the development of WA’s best talent. 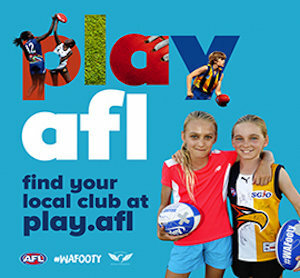 The WAFC is also working with WAFL clubs on upgrading facilities for their WAFLW team and has established a fund to support the development of female friendly facilities at WAFL venues.